We’ve all had that moment when we’ve walked into a supplement store, only to become overwhelmed by the intimidating wall of protein powders — or perhaps you’ve spent the better part of an evening scrolling through pages of protein options online, only to close your browser feeling more confused than ever. There once was a time when protein powder was protein powder, and the decision was a simple one. Not so anymore. 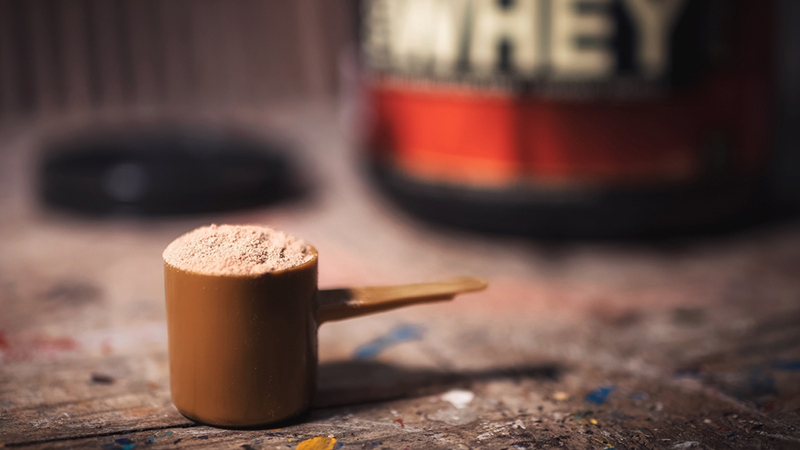 In this article, we’ll cover all of the main types of protein powders currently available and discuss the advantages and disadvantages of each. It’s time you walked into that supplement store with confidence and stared down that wall of protein without hesitation. After we’re through, you’ll be able to shop online with the speed of an internet ninja, with precise protein-purchasing abilities. Let’s get down to it. Extracted from cow’s milk, whey is the most common form of protein powder sold. During the process of cheese production, enzymes are added to the raw milk which causes the hundreds of different constituents of the milk to separate. Roughly 20% of raw cow’s milk is whey protein, which separates during this process and is then pasteurized and converted into a powder form. Microfiltration and ion exchange are two popular methods used to filter whey protein. 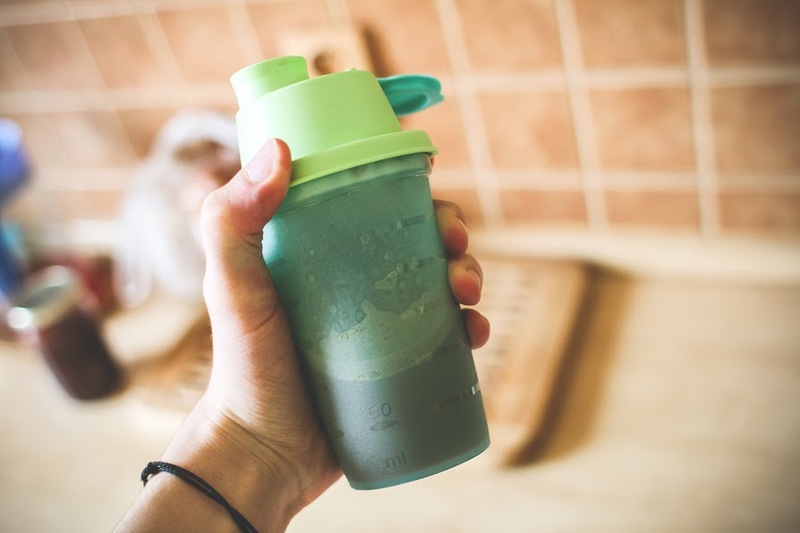 Whey protein is generally a fast digesting protein source ideal for times that you want a rapidly delivery of amino acids, such as post-workout or early morning. Whey protein is rich in the branched chain amino acids (BCAAs) – leucine, isoleucine and valine, which play a key role in muscle protein synthesis (i.e. building muscle). Usually has a rich, creamy taste. Those with allergies to dairy or some degree of lactose intolerance may have some difficulty digesting whey protein and as result, it may not be the most ideal protein source for them. Adding digestive enzymes to the shake can help with this. Most forms are typically digested and utilized within one hour of consumption, making it not the best protein for keeping you full or providing sustained delivery of amino acids. Whey protein concentrate: Contains around 70 to 80% protein, with the remaining being things like immunoglobulins, lactoferrin, CLA, lactose, bioactive lipids and minerals. So, although whey concentrates contain less protein per gram compared to isolates, they do contain a wide array of other healthy, immune boosting compounds that shouldn’t be overlooked. Whey protein isolate: The purest, most filtered form of whey protein, containing 90 to 95% protein. It is very low in fat and usually contains only trace amounts of lactose. Whey protein hydrolysate: This form of whey is made when the intact proteins from whey are broken down into smaller peptides, which are digested and absorbed a little faster compared to an isolate. Hydrolyzed whey tends to be a little bitter tasting compared to the other forms. New Zealand whey: Considered by many to be the top of the line, highest quality whey protein because of how it is processed and extracted. New Zealand dairy farms are held to the strictest of standards across the world and ensure no antibiotics, chemical residues or hormones and all cows are grass fed. Micellar whey: A unique slow-release form of whey that has been modified to provide a sustained release of protein over a period of hours. It would have the advantages of a whey protein (amino acid profile) plus the sustained release benefits, making it great for a night-time protein option. Gaining in popularity as an alternative to whey protein are the various plant-based, vegan protein powders available. Although most plant proteins are considered “incomplete” proteins (lacking key essential amino acids), when you combine a few of them into one powder, you can create a complete protein – something most companies have caught onto. Anyone following a vegetarian/vegan type diet would naturally want to go this route as well as those with any kind of dairy allergy (lactose intolerance). Consumers of vegan protein powders generally report them to be a little easier on the digestive tract compared to some dairy (i.e. whey) or animal sources (i.e. egg, beef) of protein. Makes it easier for vegetarian dieters to meet their daily protein intake with a complete protein source. Not everyone appreciates the taste of vegan proteins. Mixability has been known to be somewhat of an issue with some brands and may not mix as instantly as a whey isolate would. Average biological value, compared to whey. For the true carnivore, there is also beef protein powder, which is another great alternative for those with dairy allergies, but with the complete amino acid profile of a big juicy steak. Some believe that consuming this type of protein is more conducive to muscle growth, then plant or dairy protein. Ideal for those on a Paleo diet or anyone with lactose intolerance looking for a non-dairy protein alternative. Typically used as a sustained release, muscle building protein to support recovery from weight training and sports. Promotes greater satiety – tends to keep you fuller longer, compared to that of whey protein. Allows you to get the advantages of beef protein without the prep and cooking time. Has a unique taste, like a coffee or caramel type flavor that may throw some people off, if they are previously accustomed to whey. Some brands don’t mix as easily as whey protein. 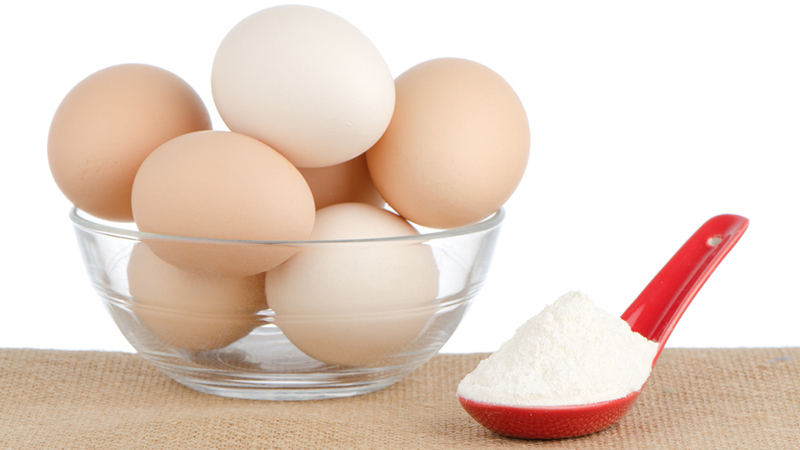 Another solid lactose free protein source is egg white protein powder. Eggs and egg whites are a complete protein, containing all the essential amino acids and are digested well by most dieters. Egg white protein is also very low in total calories, has zero fat and provides a moderate rate of digestion in the body. Egg protein would be best consumed in the morning or evening, when you want more of a sustained release delivery of amino acids to your muscles. Those lactose intolerant individuals that don’t enjoy the taste of vegan or beef proteins can find egg protein to be an excellent alternative. Fat free and very low in carbs. Contains vitamins A, B, D and E.
Possibly not the best post-workout protein option due to speed of release and amino acid profile. Potential risk for salmonella if standards aren’t followed. Similar to whey protein, casein is also derived from milk, during the process of cheese production. If 20% of raw cow’s milk is whey, then 80% is casein. The casein is extracted in a similar method to whey and dried into a powder. It is a very slow digesting protein and actually forms tiny clusters called micelles when mixed in fluid. Calcium Caseinate is produced from Casein and considered by most to be interchangeable for our purposes of this article. Casein is an excellent choice for times when you want a sustained release of protein such as before bed. This will provide a steady supply of amino acids to your muscles while you sleep. Excellent taste – thick and creamy texture. Sustained release helps keep dieters fuller longer. Known for it’s anti-catabolic effects – maintaining a positive nitrogen balance in muscles. Casein would naturally have a slightly higher lactose content then whey isolate and could cause some digestive issues for those with dairy allergies. Doesn’t have much of an “anabolic” effect compared to that of whey, mostly due to its lower content of BCAAs. Soy protein powder is not new to the protein powder gang and typically contains around 90% pure protein. It’s considered a heavyweight in the plant protein realm because it’s one of the few complete proteins. Great for anyone with lactose intolerance or those following a vegan/vegetarian diet. Soy is considered a complete protein and contains all of the essential amino acids. Contains phytoestrogens (i.e. isoflavones), which may promote unwanted estrogen-like effects in some individuals. I hope this article provided a clear overview on the various protein powder options available. Instead of thinking of one protein being the “best,” think about choosing the right protein for your specific needs, goals and lifestyle. When in doubt, consult your professional trainer or nutritionist to find out which protein powder is best for you.